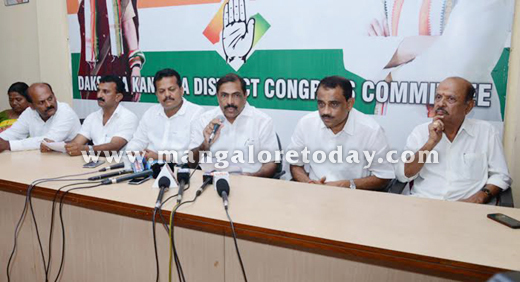 Mangaluru, June 18, 2015: After transferring Hephsiba Rani Korlapathi, the MCC officials have taken the deep sigh. Former Mayor of MCC and the congress corporator Shashidhar Hegde cleared the air to media about why the commissioner was transferred. 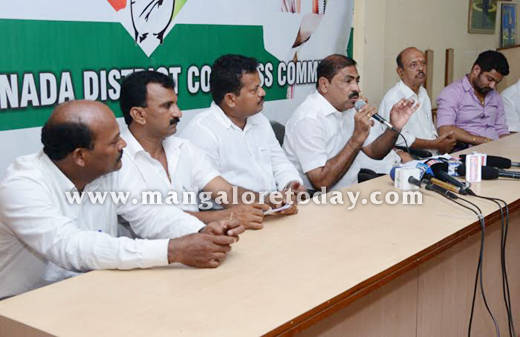 Addressing the media personals on Wednesday June 17, Hegde critically attacked Hephsiba Rani Korlapathi’s on her indigent work. Hegde had clamorously demanded Korlapati’s transfer over an incident where she declined a proposal of development work meet which was hosted by Mayor. The mayor ( Jacinta Alfred) had sent a letter to the commissioner and the other officials to discuss about the Premium FIR fund, KUDCEMP phase 2 project, Market development project and the Bus stand project as the project report needs to be prepared and sent to the government. But when the letter was sent to the Commissioner she replied that it was already been discussed, and when the Mayor personally called her, she attended the meeting but gave impudent answer and said that MLA do not have any right in the Municipality," he said. "When Ramanath Rai had called for a meeting to discuss about the Town Hall renovation work and asked her to complete the work at the earliest. She said she would complete the work within three months. But she failed to do so." Outside the commissioner’s office there were 20 chairs as people come to the office throughout the day, but all the chairs were removed except three chairs and the attender was asked to collect the memorandum from people who ever came to submit it, but the commissioner didn’t even bother to open it and the people’s problems were left unsolved. Korlapthi had ordered the Joint director not to issue completion certificates to the builders and house owners without her consent. This created huge problem to the people as they could not get electricity and water supply connection without the completion certificate. Shashidhar hegde said “the reason he was addressing the media was that to make people know the real cause behind her transfer. In addition to that he said the new commissioner will be appointed at the earliest.